Guardian Bank has chosen the NPA mitigation tool offered by Sesame to power its initiative of dealing with the rising NPA levels in their bank. Sesame has deployed this extensive solution across the branch to streamline NPA tracking at every level. This Bengaluru based bank has decided to avail the new age technology to tackle NPAs and identify them at a nascent stage. The mounting bad loans have been cutting down the bank’s profit for a very long time and also affecting their goodwill. So, it was high time for the bank to invest in a comprehensive NPA management solution. Additionally, all this was needed at a reasonable cost considering the unit branch operations and a limited number of customers. Sesame comprehended this need and adapted its NPA mitigation tool to fit the specific requirements of Guardian Bank. The management of the financial institution chose this platform to bid farewell to their NPA woes in a significant time. We've been generating reports of defaulters from all our branches and NPA report from our existing CBS. But it was a difficult task to have a track of our customer interest of commitment and follow up... We are sure that by using this NPA mitigation tool, we can reduce the number of bank defaulters effectively and have a control over NPA. Sesame’s exclusive solution will enable the bank to better manage NPA and enhance their revenue generation while bringing down the levels using NPA dashboard, NPA reporting, Follow-up and Automated Recovery process. 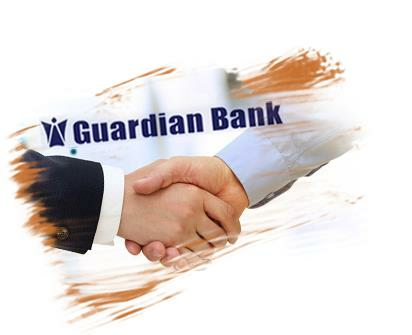 Leveraging this NPA mitigation tool, Guardian Bank will standardise its NPA management process and have a unified view of defaulters to take necessary actions or decisions.